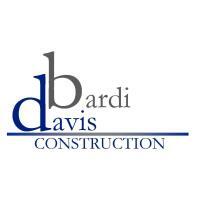 Welcome To the Chamber, Bardi-Davis Construction, LLC! Bardi-Davis Construction, LLC is specialized to perform all aspects of commercial roofing encompassing flat and steep slope applications. We are certified with most of the leading roof manufactures; Johns Manville, GAF, Versico, Certain Teed to name a few. The company excels in large commercial, industrial and Municipality type of projects. We understand the challenges of the fast paced construction schedule. Our combined 35 year experience in the industry reflects our thrive to complete each project on time and within budget. Our in-house crews and sheet metal fabrication shop give us the ability to deliver the highest quality products at a competitive pace.